DISCLOSURE: Event video with Interviews and Broll In addition to Event Photos were given to REANA ASHLEY by Rogers and Cowan along with Warner Brothers. (Burbank, Calif. – June 6, 2017) In celebration of teen TV drama phenomenon Pretty Little Liars’ seventh and final season, Warner Bros. Studio Tour Hollywood will spotlight the popular series with an exclusive, behind-the-scenes special exhibit featured on the tour for a limited time only. From June 15 to August 15, 2017, Pretty Little Liars: Made Here will provide fans with the opportunity to see and experience a collection of authentic props and wardrobe from the show for the first time, including iconic costumes worn by the show’s five lead characters: Aria Montgomery (Lucy Hale), Hanna Marin (Ashley Benson), Emily Fields (Shay Mitchell), Spencer Hastings (Troian Bellisario), and Alison DiLaurentis (Sasha Pieterse). The special exhibit will be located inside Warner Bros.’ interactive soundstage, Stage 48: Script to Screen, where guests experience each stage of the production process while exploring original props, costumes, and sets from some of the studio’s most legendary films and television shows that have entertained the world for more than 90 years. 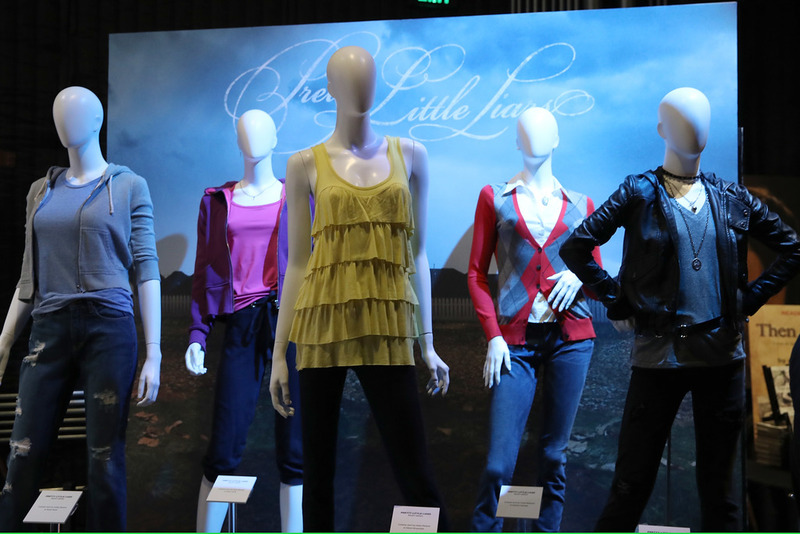 In addition to authentic character wardrobes from the beloved series, Pretty Little Liars: Made Here will also showcase a variety of memorable set design elements from the show, including a recreation of A’s lair, complete with costumes, props, and décor; all five Pretty Little Liars dolls; select pieces from the Caleb, Ezra, and Toby characters, including Toby’s Rosewood police uniform; the Liar’s Lament “endgame” board; Radley Sanatorium; Halloween/Masquerade Ball episode costumes; and an interactive green-screen photo opportunity. Warner Bros. Studio Tour Hollywood is open Monday through Sunday, 9:00AM to 3:00PM, with studio tours departing every 30 minutes and extended hours offered during the summer, spring break, and winter holiday seasons. Reservations are recommended and all children eight years or older are welcome. Regular tickets are $62 per person and can be purchased online at www.wbstudiotour.com or by calling 818-977-TOUR (8687).